Ready to finally wrangle messy materials data with continuous improvement? 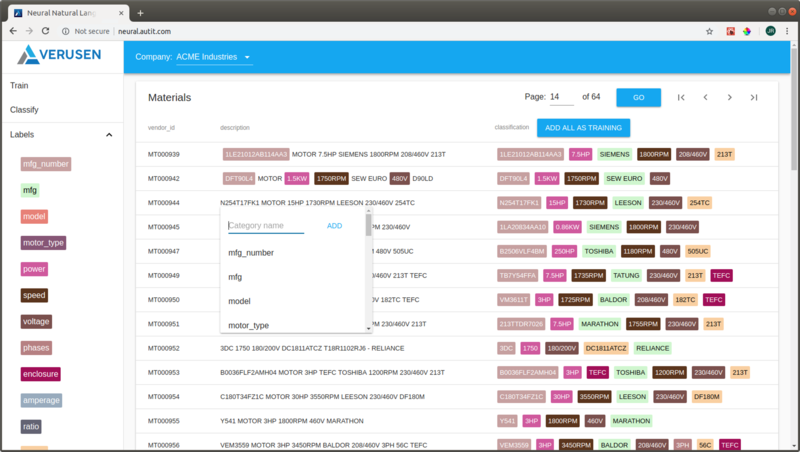 Verusen’s AI-backed cloud platform sits on top of your multiple data sources and automatically links and categorizes duplicate parts data. Eliminate excess inventory purchases when quantities exist on-hand? Check. Reduce obsolete, slow-moving, and overstock inventory? Check. Know exactly what materials are in stock and how best to deploy. 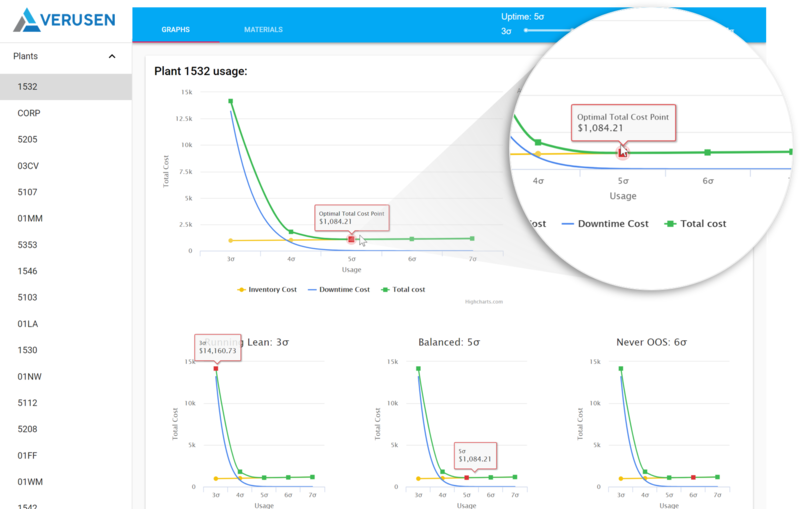 Oh, and our artificial intelligence continues to predict and learn from real actions over time to deliver faster inventory insights with increased reliability — at scale. That’s the power of Verusen. 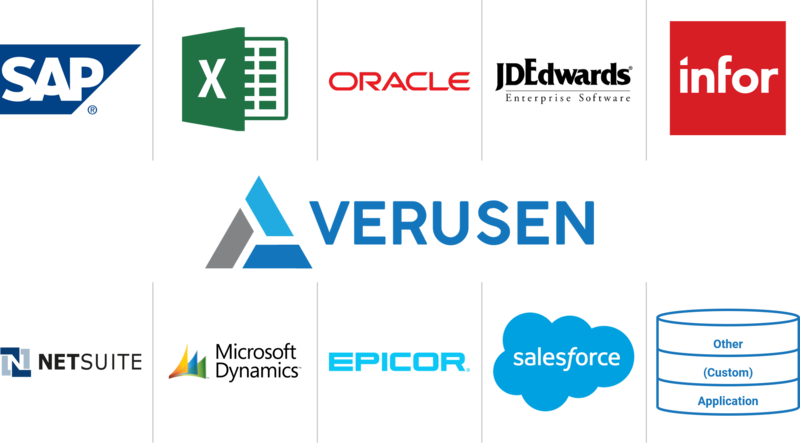 Verusen automatically integrates to your ERP and disparate data sources — single or multiple systems, one or many locations. Then, our Artificial Intelligence learns from your own inventory experts and encodes their knowledge to provide seamless inventory harmonization. Get automatic naming and categorization with 99% reliability at scale — a true material master. With disparate inventory data harmonized, Verusen provides the ability to search for the right materials with true quantities across the enterprise. This prevents the procurement of duplicate materials. Need to add a new material? No problem. Verusen helps identify potential duplicates during the creation process. Enable the process to prevent over-purchasing and excess quantities in the future. Verusen builds upon the knowledge of your inventory experts to create sustained, continuous application and improvement. Get suggestions to continually optimize inventory allocation and procurement needs. Your experts still have ultimate control to accept Verusen stocking recommendations or otherwise. Meanwhile, our Inventory Reports help keep teams performing at the highest level while building trust between experts and data.